Happy Siren Wednesday! I know you already know Siren is at The Carl & Mary Koehler History Center, but did you know that there will be complementary appetizers from Biaggi’s, generously provided by University of Iowa Community Credit Union? Have you been to The History Center yet? I have not been there since I was in middle or high school, and I am definitely looking forward to attending this event! The real reason for my post today is to tell you what I learned about networking at Go Blog Social in Kansas City last weekend. A blogger conference? Really? What can you learn about networking there? OK, so maybe not all of you are saying that, but I know there are people out there who don’t really know what goes on at blog conference. A ton of networking! Just sayin’! One of the speakers at the conference was Marcy Twete, Founder and CEO of Career Girl Network and was definitely one of my favorite speakers of the event. Networking is something that I have been trying to work on, especially since I am a little shy in those situations and not always a fan of talking about myself to people I haven’t met before. Don’t get me wrong, I love hearing all about you! What need do you have to fill at tonight’s (or any) networking event? Are you new to the area and want to make friends or business connections? Are you an employer scoping out the local YP talent? Are you a social media enthusiast looking to grow your network in person as well? Do you like to unwind after work with a nice cold adult beverage, and ImpactCR hosts the coolest event the first Wednesday of the month? No matter what need you have to fill, networking is a great way to create partnerships or relationships and have an opportunity to grow your business, no matter what it may be. So why is this post titled, You Know Everybody? Marcy wrote a book of the same title, You Know Everybody! 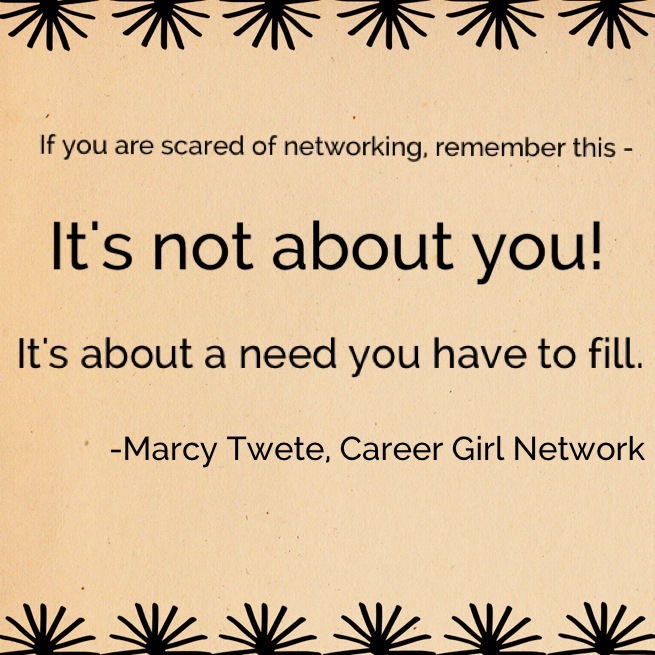 A Career Girl’s Guide to Building a Network that Works. Wouldn’t you love to walk into White Star, know almost everyone in there, and the person you’re with says, “WOW! You know everybody!” That was pretty much Marcy’s “A-ha” moment in penning this book. I just started Marcy’s book and I can’t wait to report back about what I learned! If you can’t wait to read it yourself, you can purchase your own copy here, and don’t forget to visit her website for so much more! Stay tuned!